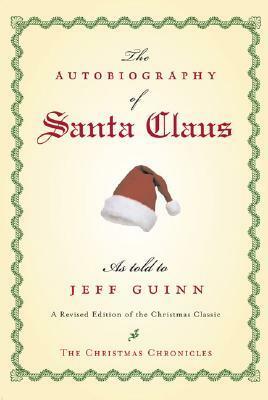 It all started when Jeff Guinn was assigned to write a piece full of little-known facts about Christmas for his paper, The Fort Worth Star-Telegram. A few months later, he received a call from a gentleman who told him that he showed the story to an important friend who didn't think much of it. And who might that be? asked Jeff. The next thing he knew, he was whisked off to the North Pole to meet with this "very important friend," and the rest is, well, as they say, history. Review: The first third of this book is fantastic-we learn about a young, wealthy boy who wanted to help those around him. Eventually he became known as Saint Nicholas. I absolutely loved this section. The book started to reach eye rolling territory when he became this magical person who got help for a random assortment of historical figures throughout the years (Attila the Hun...King Arthur...Leonardo DaVinci..name a famous person and they were probably thrown in there). I think my 9 year old would love this though, I might read it with her.